For over 26 years, Riversport has been teaching quality instruction to thousands of beginner to advanced paddlers. We offer our progressive courses that focus on Safety, Proper Skills/ Technique, and Fun while in a positive learning Environment. Our 5:1 Student to instructor ratio for group instruction allows individual to be comfortable and learn in a progressive manner. Students receive the best instruction in the appropriate class to match their goals. Our instructors are ACA Whitewater Certified, American Red Cross Certified with proper Wilderness First Responder, and Advanced First Aid/ CPR certifications. Our advanced camp is limited to 12 paddlers who have a solid roll, and we will be traveling and camping on different rivers during this week. Parent Child Camp 2019 July 19-21* (3 Day Format) See our link on the instruction page. Meet at 8:30 am at the Lucky Dog Café for breakfast, meet the group, and gearing up. We take a combination of having a excellent location with great rivers, and take a excellent kayaking staff of diverse instructors. When you add the kids into the mix you get a great week of fun progressive instruction based learning. Our staff includes a pro athletes, Nurses, PSIA certified ski instructors, National Ski Patrol members, High School educators, to ACA Full Certified Instructor. Most of our Beginner students go from Class I to Class III and master the Lower Yough and rolling. Our advanced group will learn new play boating moves, technical river running techniques, like “the boof”, and how to run class IV+. Also, during the week, students are able to check out the new sport of Stand Up Paddle Boarding. 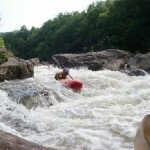 We hop on boards at the Yough Lake during our evening cook out, and then take it down the river through class II rapids. Then work on River Rescue Skills. Each session we paddle at the Adventure Sports Center Institute, Yough River, Cheat Narrows, Valley Falls, or Cassleman Rivers. Basically where ever the water levels take us. Our program’s main focus is to build confidence and skills in younger paddlers, while providing a safe learning environment. Each day we take our students through a progression that allowsriver running techniques, self rescue, river rescue, play boating, and creek boating skills. Our week begins on the Yough Lake above our river store location. From here we divide groups in to appropriate levels of abilities to begin a great week of building skills and confidence on the water. Supervision by 2 or more instructors at all times. Riversport offers the relaxing sport of SUP here in the Yough Valley. 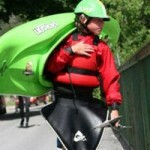 What a better way to incorporate the great core work out of SUP on the Yough Lake or easy class II Yough River setting. We have a variety of SUP boards for you to try out on flatwater or to take on moving water down the peaceful Middle Yough. There is nothing better than spending quality time with family. Now just add a little white water action and fun with some great instruction. Mix it all together and you get a week of learning quality skills, camping under the stars, paddling with some of the best instructors, and taking home experiences that will always be special memories. We do a evening Cook out and Stand Up Paddle Board trip on the 2nd day on the Yough Lake. We begin with focusing on the essentials of kayaking. All skill levels are welcome. We take students and establish goals for the week. Then, we are off to the river for some experiences that will be treasured. 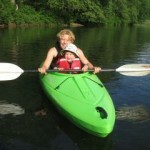 As the week moves forward, we will bring the family members back together to finish out a final session on the river. All Equipment is included, and lunch is provided by Lucky Dog Cafe each day. Our beginner class starts with creating a solid foundation of skills that will allow you to confidently go forward to our next day of instruction, or to take home and practice. The course begins on the warm waters of the Yough Lake, and finishes at our camp location at Ram Cat Rapid on the Middle Yough, or lower Cassleman River. This course is for the true first time kayaker, or recreational kayaker looking to cross over to the wonderful world of white water. 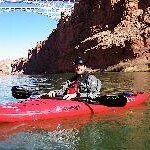 Private Instruction $195- includes kayak equipment transportation, and lunch, and you own instructor to focus on your own goals and skill building. A perfect way to advance your level quickly, and have fun in a solo setting. Our next course moves into the exciting realm of learning stronger skills in Class II+ white water. In this course we will continue on from the previous day’s lesson, or begin with a on water analysis of your current ability level. Generally, the early part of the day will focus on learning the “Sweep,” or “C-to-C” roll in the morning. During the afternoon we move to Class II+ moving water to practice more rolling in moving water, but more importantly dialing in your paddling technique. Most students who take this course have had some experience on moving water in a kayak, but still need improvement/ confidence in Class II whitewater. Open Boat canoe classes focus on eddy turns and peel outs. We also focus on linking “combination strokes” to give more control and acceleration while in a canoe. At this level, students are ready for more of a challenge under the watchful guidance of their instructor. 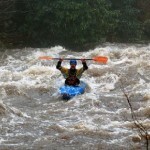 You should have a good flat water roll, and experience in Class II and may be some Class III whitewater. Students should have good boat control doing eddy turns and peel outs. We start by taking students to a easy class II+ section of river to warm up and review their abilities before heading out to our favorite section on the lower Yough called the “Loop.” This section allows us tap into world renowned classic class III whitewater. Students experience stronger river flows, gradient, and faster current. We also begin to introduce mild play on certain river features such as catching small waves to feel the sensation of surfing on water. Good technique is also emphasized. Open boater canoe students should have a knowledge of strokes, eddy turns/ peel out and would like to work up to the Lower Yough. Students are ready to paddle the whole Lower Yough. We spend a full day on the river working on river running techniques and tapping into the many great play features on the Yough. This course will show students the proper way of running technical lines, proper surfing methods, flat spins, cartwheels, and other moves on the water. What ever the goals for the day, we offer flexibility to meet your needs. Improve or learn to kayak roll in this 2½ hour session that takes you to a warm calm environment on the Yough Lake. Fine tune the essential roll that will work best with your learning style, and kayak design. C-to-C Roll or Sweep Roll will be presented. Even though we offer instruction on the calm pristine Youghiogheny lake, there is more fun just below along the mild and scenic Middle Yough River (Class I-Class II). 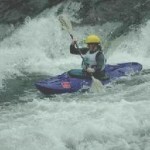 We use recreational, and day touring kayaks to explore this excellent section of river. 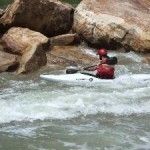 This class is all about learning proper strokes, self rescue techniques, natural history of the area, and how to turn your Rec kayak into a vehicle for visiting beautiful rivers with mild whitewater. 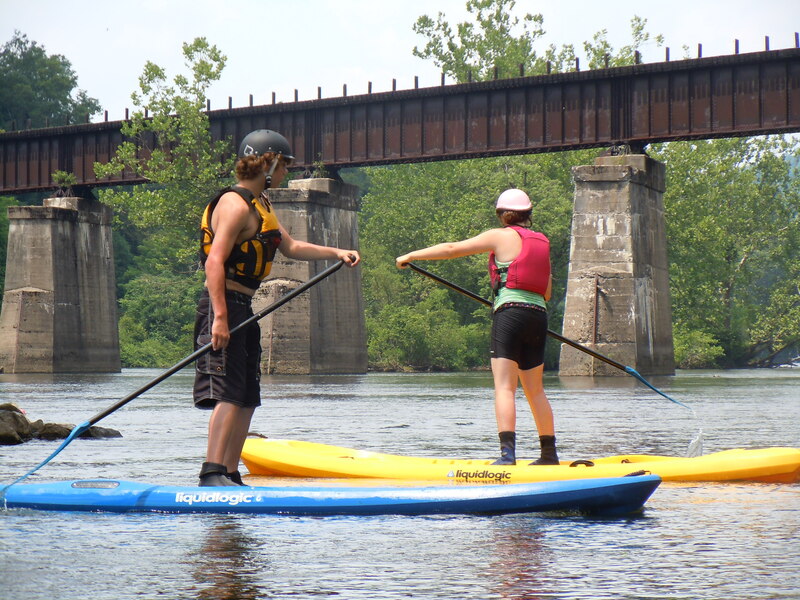 Our classes begin at 10 a.m. at the Riversport Store and finishes at 3 p.m. in Ohiopyle.